In the context of both the most disappointing season of his tenure and his 22-year reign at Arsenal, Arsene Wenger has announced his resignation, deferred until the summer, in just enough time to preserve an illustrious legacy. 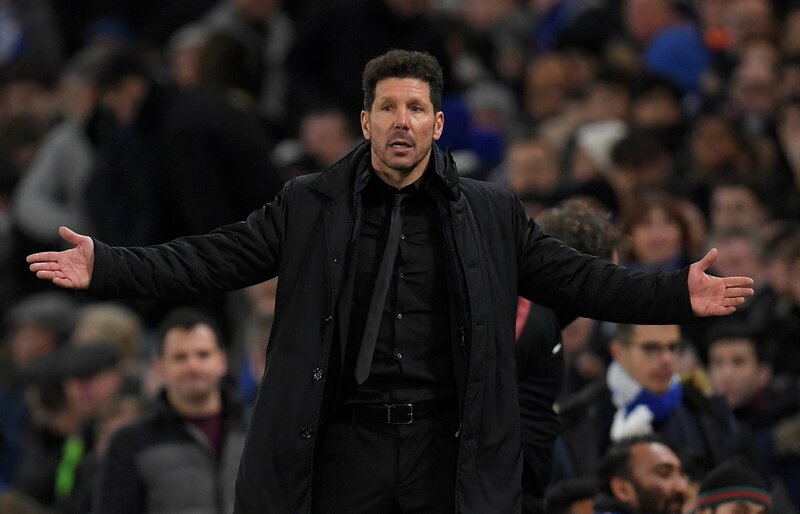 There was a worrying feeling of inevitability heading into Arsenal’s Europa League double-legger against Atletico Madrid, one of continental football’s most savvy sides, that will dictate whether the north London club can end the season with the positive note of returning to the Champions League. But Wenger’s impending departure gives a refreshed motivation for those games, and more crucially reunites a fan base that has been so bitterly split over the last few years. Much of that bitterness had evolved into apathy and absence, but there won’t be any empty seats at the Emirates Stadium during Arsenal’s last home games of the season, now fans know it will be their final chance to enjoy, embrace and celebrate a manager who has given so much of himself to the club, who has made an unforgettable impact on its history. Suddenly, the mood at Arsenal changes and the consequences of that could be hugely significant; Arsenal will always have the resources to qualify for the Champions League, but defeat in the Europa League coupled with the possibility of Burnley finishing above them in the Premier League would feel as if Arsenal have relegated themselves from Europe’s elite bracket of clubs. In fact, there is still no guarantee seventh place will be enough for Europa League football this season, so that feeling could manifest into a grim reality. Wenger’s announcement though, has injected some enthusiasm and passion back into the club just when its most needed, and it could be just enough to not only keep Arsenal in European competition but also boost them back to Europe’s top table. That will be a key part of what Wenger leaves behind at Arsenal – a club that has been involved in European competitions for all of his full seasons in charge, and missing out on Champions League football during just one of them should they qualify through the Europa League this year. It makes the job of his successor inherently easier, particularly in terms of attracting the calibre of player to administer a successful squad overhaul this summer. Of course, Arsenal winning the Europa League is just conjecture right now, as is the idea of them finishing behind Burnley. But the timing of the resignation will be crucial to preserving other aspects of Wenger’s legacy too, and we shouldn’t forget how powerful that legacy is. Amid a season in which Manchester City are on course to become the first team to reach the 100-point mark in Premier League history and set a new record for goals scored by employing a thrillingly unrelenting offensive philosophy, with a squad including just four England internationals, it’s easy to forget Wenger was amongst the first Premier League managers to completely embrace attacking football and the impact of cheap, emerging talents from abroad. Including his revolutionary views on fitness and diet too, Wenger’s ingenuity has shaped the Premier League as we see it today. Even the current cohort of managers at the division’s summit have been inspired by the Frenchman in one way or another; Jurgen Klopp and Pep Guardiola have evolved his system to include high-pressing, while Jose Mourinho’s cautiousness and famous utilisation of Claude Makelele was a direct reaction to how Arsenal had won the league undefeated the year previous upon his arrival in summer 2004. 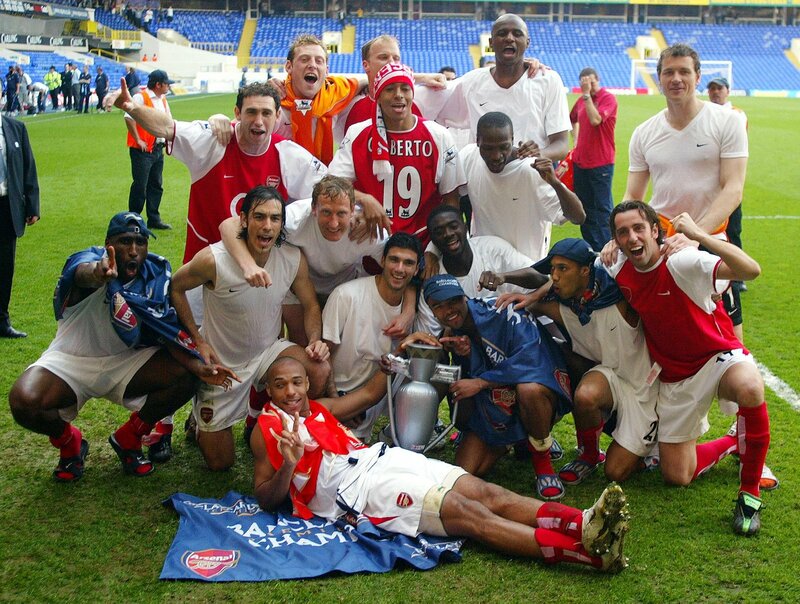 The Invincibles still remain the only Premier League side to record that feat, despite the three Champions League winners English football have produced since. 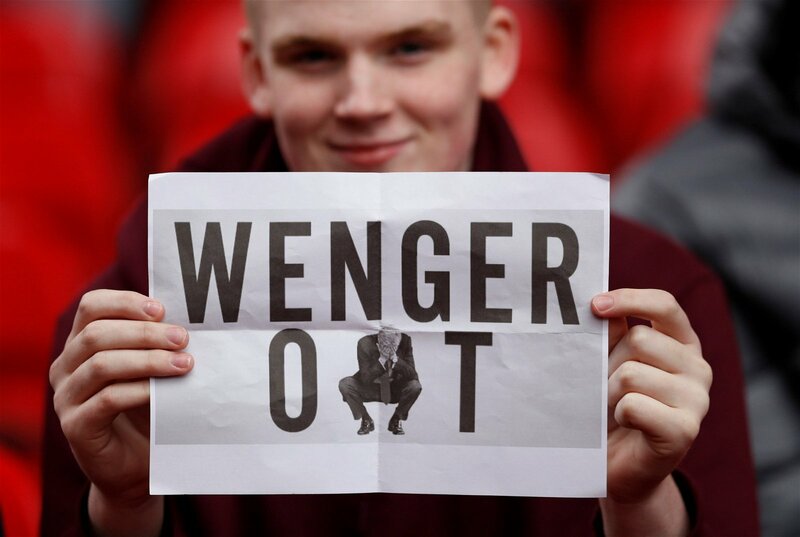 There is no question, though, that the last few years had begun to corrode Wenger’s legacy. While his impact on English football remains indisputable, perceptions rapidly changed. When Wenger first arrived in the Premier League he was a revolutionary; in recent campaigns, he’s become the Premier League’s ultimate conservative, reluctant to embrace change and persisting with ideas that were successfully counteracted over a decade ago. Arsenal fell into a time loop, history repeating itself but Wenger standing by expecting a more positive outcome each time – as Albert Einstein once said, the definition of insanity. Le Professeur had become so entrenched in his own beliefs that it wasn’t quite clear whether Wenger was clinging onto his job for the sake of the club he declared to love or for his own. It was equally unclear whether his defiance of Arsenal’s decline was a consequence of arrogance, ignorance, stubbornness or naivety – perhaps a mixture of all four. In any case, it was clear something at the club needed to change to arrest the slide. Leaving at just the right time isn’t the same thing as leaving at the perfect time, and that remains Wenger’s ultimate crime. During the last three years, even two FA Cups and a runner-up finish in the Premier League couldn’t gloss over the ill-feeling in north London after so many years of dormancy, and under another manager those feats would have been perceived as far greater signs of health and success. 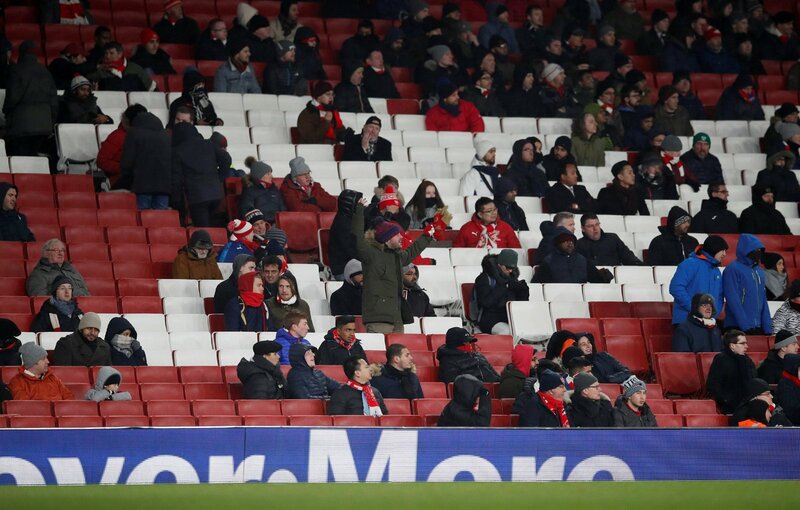 Instead, Arsenal’s stands became a battle ground of ‘Wenger In’ versus ‘Wenger Out’, a battle ground that this season particularly has become increasingly sparse. More than anything else, that’s perhaps why the situation couldn’t go on any longer; as fans voted with their feet, it became clear during recent home games that staying on would be against the will of the majority of supporters, supporters who pay amongst the most expensive ticket prices in England. Had Wenger insisted upon seeing out the final year of his contract, the further damage caused would have made his impact on the club almost equally as negative as it has been positive. Even this season, Arsenal are on course to finish lower in the Premier League than the year before Wenger’s arrival – fifth place under Bruce Rioch. When you love something so much it becomes impossible to let go, and Wenger will feel he’s made the ultimate sacrifice by bringing his increasingly divisive reign to an end. Regardless of what’s happened over the last few years, he leaves a club with a modern stadium, a history of success, a definitive style of football and a squad that may not be as imperious as it once was but still contains some of the top players in the Premier League. For whoever has the unthankful task of replacing a 22-year servant in an industry where the average tenure is around one season at best, that’s an incredible platform to leave behind.